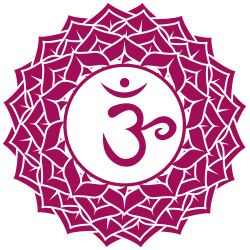 We are a boutique yoga studio in Strathmore. Join our classes to restore your body, calm your mind and nourish your soul. Our classes are small and lovingly cared. View our timetable and book online, below. 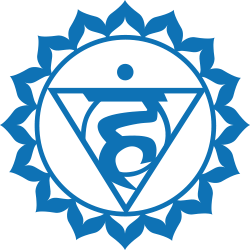 We acknowledge the uniqueness of each person and for that reason, we have put together a variety of yoga styles that can suit all tastes and needs. 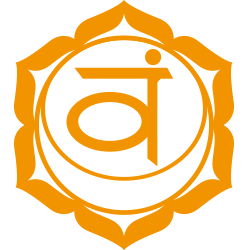 Hatha Yoga is the foundation of many modern yoga styles emerged in the 20th Century. 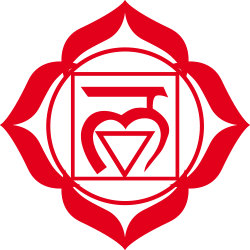 It refers to the conscious combination of Asanas (physical exercises and postures), Pranayama (breathing techniques) and Meditation. Our Hatha Yoga classes nurture students from beginners to advance levels. Each level is designed for students to progress through committed practice in and outside of the studio. You work at your own pace, gradually encouraging your body and mind to stretch and strengthen. This is a perfect class for those willing to start yoga and for those who want to take their yoga practice to a new level physically, mentally and spiritually. 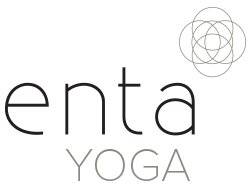 Leena and Karen are teaching Hatha classes on Monday & Thursday evenings. Please check our Timetable to choose your preferred Hatha Yoga class. The word “vinyasa” can be translated as “arranging something in a special way,” like yoga poses or asanas. In a Vinyasa Yoga class, students coordinate movement with breath to flow from one pose to the next and postures are not held for very long. Vinyasa Yoga is flowing and dynamic, it gets us moving while stills the mind at the same time. It has so many focal points that helps train the mind through the breath, movements, bandhas, postures, and sequences. This is a perfect class for those seeking a good balance of flowing movement, conscious breathing and focusing the mind. Karen is teaching Vinyasa classes on Thursday evening and Saturday morning. Please check our Timetable to choose your preferred Vinyasa Yoga class. Dru Yoga is a graceful but powerful form of yoga using gentle, flowing movements, focused breathing and visualisation techniques to achieve inner calm and revitalise the mind and body. 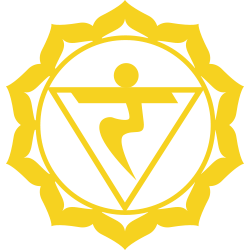 The keystone of Dru Yoga is a process called Energy Block Release, where students learn to rebalance the emotions at the same time as they exercise and energise the muscles and align the spine. 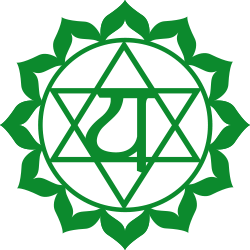 A typical Dru Yoga class consists of the stages of Activation, Energy Block Release, Sequences, Asanas, Mudras, Pranayama and a long Relaxation. Dru Yoga uses a soft, gentle approach to the physical movements. They are performed slowly and with awareness, often with many repetitions of each movement. This is a perfect class for those seeking a gentle and restorative practice that strengthens the body while calming the mind. Mariana and Claire are teaching Dru Yoga on Monday, Tuesday and Wednesday evening as well as Friday mornings. Please check our Timetable to choose your preferred Dru Yoga class. Yin Yoga will stretch your body and mind in a gentle yet challenging way. Chantelle is teaching Yin Yoga classes on Tuesday evening and Thursday morning. Please check our Timetable to choose your preferred Yin Yoga class. Traditional Qigong is an Eastern self healing practice, originating from China and dating back over 4,000 years. Qigong enables the cultivation of energy, vitality and relaxation and it delivers a wide range of physical and mental health benefits. Integrative Qigong which is a little different to its traditional counterpart but just as powerful in terms of delivering the benefits of Mindfulness, Meditation and Movement. Effectively it is a moving meditation that explores acupressure, slow stretches, gentle flowing movements and mindfulness. Our style is modern and integrative and it brings together traditional qigong, taiji and daoyin yoga. Nicole is teaching Mindful Movement (Qi Gong) on Wednesday morning. Please check our Timetable to confirm the time. This class helps you connect and keep balanced with the seasons by enjoying a beautiful fusion of TaiChi/Qi Gong, gentle rhythmic moves, Pilates, Yoga, Feldenkrais, Relaxation and Meditation. The Chiball is used as a support and massage tool incorporated into the relaxation section of the class. A great class for energizing, toning, losing weight & finding balance. Rita from Mind and Body Focus is teaching ChiBall Flow on Tuesday mornings. Please check our timetable to confirm the time. Practising yoga from a young age gives you much more than flexibility and physical strength. Being a discipline that benefits your body, mind, emotions and relationships, Yoga builds a strong sense of self, wellbeing and good health. Classes will incorporate Body Awareness, Movement, Stories and Songs, Asanas (Postures), Pranayama (Breathing Techniques) and Meditation. It is said that if we teach our kids yoga & meditation from the age of 8, we can transform our world in only one generation. We believe is worth trying. Honey is teaching Mindful Kids classes on Tuesday afternoon. Please check our Timetable to choose the preferred yoga class for your little ones. Our Monthly Meditation class include 30 minutes of releasing stress through breathing and light stretching followed by a gentle guided Meditation. Enjoy the balance and let go to seventy five minutes of pure peace and relaxation with the sounds of Crystal/Tibetan healing bowls. Rita from Mind and Body Flow is teaching Meditation/Mindfulness on the second Sunday of every month. Please check our Timetable to confirm the time. Practising yoga while you are pregnant is the best gift you can give yourself and your baby. It helps you to prepare for what this precious time of your life brings and enjoy the different stages in a peaceful way. Yoga will help you maintain good health, improving strength and flexibility. It will also give you relaxation skills and learn breathing techniques to manage pain during labour more effectively. Above all, it will help you to connect to your body, respond to your intuition and connect with your baby right from the start. Please check our Timetable to confirm the time. Health Rebates are available with some private health insurance companies. Please check with your insurer if yoga is covered and how much you get back, as they all vary. Book Online through MindBody App, here. From January 2018 you can only book and pay your classes solely from the MindBody App or here on our website. Secure your mat in the class you love instantly, whether you are planning ahead or squeezing in a last minute class. Cancel your class and reschedule in just a few clicks (See Payments & Cancellation Policy). Be in control of your credits & payments, No need to bring wallets anymore or call to confirm/cancel. Remember your Class. The App synchronises with your Calendar. Try new classes, check out our schedule & special promotions. Rate your favourite class & instructors. To book, simply click the button below. How can I get started with the MindBody App? We understand that unexpected things can happen and missing a yoga class is one of the things you shouldn’t worry about. You can cancel your class at any time in the MindBody App and as long as you do it with 9 hours prior to your class, you can use that credit for any other session. Please note that Late Cancellations will incur a lost session. In respect and appreciation to the teacher and other fellow students, please cancel your session if you know you are not attending, even if is within that 9 hours window. This way you can give the opportunity to people on the waiting list to attend the class. We want to make your yoga practice worry-free from beginning to end, so, all yoga equipment like mats, bolsters, blocks, blankets, belts and eye packs are available for you to use. Some people prefer to bring their own mat so we leave this one up to you. We thoroughly recommend to bring a water bottle to keep you hydrated during the class. In some classes we use essential oils so it will be great if you use one made of stainless steel. Wear comfortable workout clothes (not too loose or too tight). We also recommend that you wear layers, as your body will warm up as the class progresses and cool down during relaxation. Leave your jeans, belts or excessive jewellery at home, since they will restrict your movement and simply be a distraction. We suggest to avoid wearing strong perfume for your class, as many students are sensitive or allergic to certain scents. Simply put, yoga on a full stomach does not feel good! We suggest you avoid eating a major meal before class. I know this is sometimes a challenge, particularly for this evening class that may fall after your typical dinner time. In this case, try to eat a hearty, late lunch, or simply have a light snack before class (like a piece of fruit, dried fruit, nuts, yoghurt, etc.) to hold you over until after your yoga practice. Please arrive about 5-10 minutes before the class. This will give you time to get settled. Please remove your shoes before you enter the yoga room and place them in the shoe rack. You will have a special basket for your other belongings inside the room. Please turn off you cell phone as soon as you arrive! Some students like to take a few minutes before class to transition out of their stressful day by quietly relaxing on their mats. Please be considerate by not holding loud conversations before and during class, and moving quietly if you need to get up to go to the bathroom or leave for any reason. Arriving late can be very disturbing to other students. 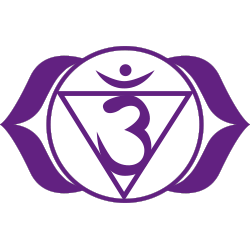 Some classes will begin with a brief meditation or pranayama (breathing) practice, so if you do need to come in after a class has begun, please do so as discretely as possible. Please put all other equipment away neatly. Remember to take all your belongings including mats, clothes, water bottles, jewellery, keys, etc. Make the intention to sleep early that night. Is only ONE night. If you need to do things around the house or that can’t wait for the next day, practice gazing a candle or alternate nostril breathing before bed. Avoid TV, computer work and using your mobile phone that night. If you feel energy, don’t resist to it, surrender to it and use it in a creative and nurturing way. I am one. We are one. I do everything with love. I love what I do.